Smell the Coffee, Hear the Waves! This expansive, light-filled ground floor apartment located in the award-winning “Sunshine Vista” resort in the heart of the village precinct, just 200 metres walk to surf club and patrolled beach, offers everything you want in a holiday investment, location, lifestyle, high occupancy rates with attractive returns! Opening out to a private leafy garden with a prized north-east aspect, the apartment is complete with two bedrooms, two bathrooms, full-sized kitchen, huge open plan living and dining of generous proportions, laundry, and secure parking for one vehicle plus lock-up storage. Recently painted, features include: new oven and cooktop, dishwasher, new curtains, new lights, spa bath in ensuite, reverse cycle air-conditioning, ceiling fans, security screens, and is being sold fully furnished…ready to place immediately in lucrative holiday rental pool or indulge in a glorious beachside holiday for yourself! The outlook from every room is lush and leafy, as the complex is framed by beautiful sub-tropical vegetation that enhances privacy and creates a sense of calm and relaxation – just perfect when on holidays! “Sunshine Vista” offers its guests lift access from carpark to their room, security intercom, communal BBQ area, and a sparkling heated pool and spa with sunbathing terrace…the grounds and facilities are meticulously maintained by the friendly, helpful onsite managers Ed and Phillipa, whom owners and guests speak highly of. Owners have themselves had some memorable holidays here and have loved every minute they spent in this charming apartment. Buyers seeking a holiday investment in a blue-chip central location cannot look past this charming garden apartment in a building that is generally very tightly-held; exceptional opportunity! •	Fabulous holiday investment in every sense! Pat Johnston is respected for his direct, no nonsense approach in his real estate dealings. He considers individual service the most important aspect in working with his clients. Pat combines an in-depth local knowledge with a sharp and well-informed negotiation style. Pat’s philosophy; “strong relationships are based on trust. Trust is forged through working closely with people in a consistent, honest and straightforward manner every day. Pat stated: “My professional advice, and my sensitivity to my client’s individual needs, produces exceptional results in oftentimes complex and emotionally charged selling situations. Pat is married with three children and is a local Sunshine Beach resident. A keen sportsman, Pat is a volunteer surf life saver, coach for the Noosa Lions soccer team, and can be found regularly Kitesurfing the Eastern Beaches. 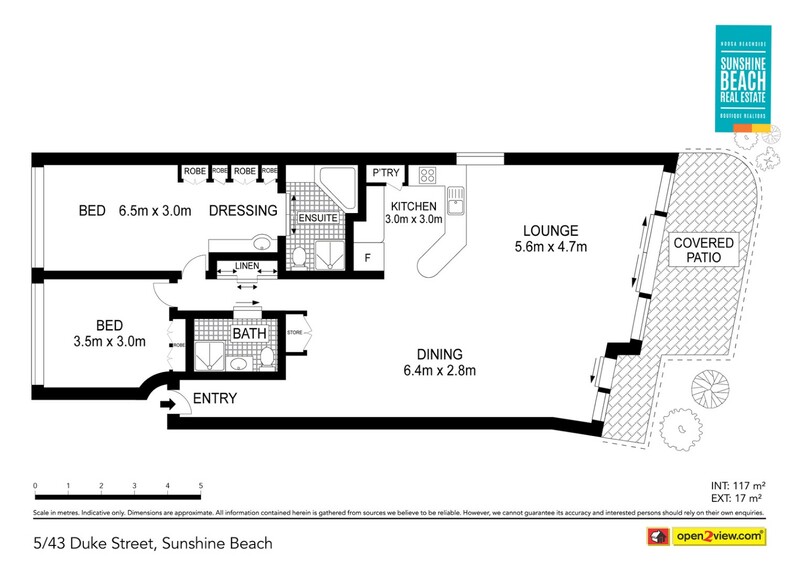 Thank you for your enquiry on "5 / 43 Duke Street SUNSHINE BEACH QLD 4567". One of our sales agents will be in contact with you shortly with more information.